Casvi School covers all K-12 educational levels. Sponsored by the IBO (International Baccalaureate Organization), we implement the Diploma Program (DP). The IBO methodology includes the Multiple Intelligences and Emotional Intelligence theories. This program aims to train young, well-informed researchers and thinkers to be good, honest, caring, thoughtful, open-minded, and good communicators. At Casvi, students can study one of two systems: The National Baccalaureate, which prepares them to take the university entrance examinations and allows them to gain admittance to any University in Europe, or the IB Diploma Program, which allows them to access the most prestigious international universities of the world. The International Baccalaureate Program is a two-year, pre-university course of study designed to facilitate mobility of students and promote international understanding. The purpose of the IB Diploma Program is to promote students’ capacity to learn by themselves and to work using suitable methods of inquiry. This program also helps students acquire essential skills such as oral communication, teamwork, and leadership. Students at Casvi can become fluent in at least two languages: Spanish and English. In addition, students can learn a third language: German or Chinese. ffective. In addition to teaching the various subjects, we help our students become independent learners and develop skills such as critical thinking, logical reasoning, analysis, and a love for learning, which are essential in higher education and throughout life. We have developed an Orientation Program for foreign students that consists of a one-week immersion program upon their arrival and a long-term course that lasts the entire first year. 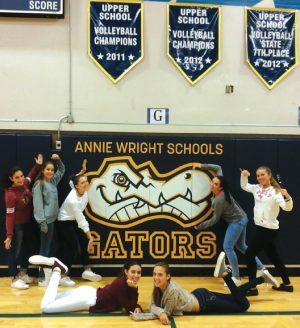 Casvi’s Advisory Team along with the support of the Administration Team ensures that all students are completely integrated into the school and culture, making them feel as if they are at home. All our international students are supervised by tutors that help them become accustomed and integrated into the school community and student life in Madrid as quickly as possible. They also inform parents via e-mail or Skype sessions to notify about their children progress when needed. fferentareas of the school life. Casvi School also implements a variety of learning support programs to back students’ success. fferent countries, such as the US, Germany, Ireland and China, share their cultures and languages with us. Self-esteem and maturity is developed. Eurocolegio Casvi gives great importance to athletics, not only as a curricular subject, but also as an additional way to acquire healthy life habits. Swimming is an activity of the school day and it is also promoted as an extracurricular activity by our competitive swimming club. But basketball is the leading sport at our school, where our senior team plays in the EBA league (Spanish basketball championship). Artistic disciplines such as music, drama, painting, and creative writing have a special place in our school curriculum. Students are involved in many kinds of activities: our reading club, poetry competitions, short story contests, drawing contests and theater plays in English and Spanish among others. Our goal is to educate our students on the importance of respect and sensitivity within their community. That is the reason why in 2006 we started The Casvi Foundation. This project has different aid programs in developing countries, mainly in Piura (Peru), where a school has been built with classrooms and workshops. The building also has a soup kitchen where 140 local children without any economic means are provided with food every day. Our students have also an active role by participating every year in solidarity and volunteering projects.